Five Star Professional is pleased to announce that Nick Herron is a 2019 Five Star Real Estate Agent! Nick is among an elite group of professionals honored with the Five Star award in the Sarasota area. This is the tenth year Nick has received this award. The Five Star Real Estate Agent award recognizes professionals who excel in client satisfaction. All award winners are chosen after undergoing rigorous research, including client nominations and evaluations, regulatory requirements, and a review by an industry Blue Ribbon Panel. After satisfying all of our research requirements, Nick has been named a Five Star Real Estate Agent! Please join me in congratulating Nick Herron on this incredible accomplishment. 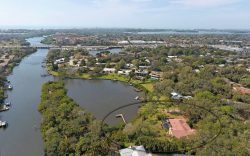 Specializing in distinctive waterfront properties in Sarasota Florida and adjacent Sarasota barrier island communities including Sarasota, Casey Key, Siesta Key, Manasota Key, Nokomis, Osprey, Venice, Englewood, Bradenton, Longboat Key, Lido Key & St. Armands, and Bird Key the Herron Group represents buyers and sellers of residential homes, lots, commercial and investment properties. The RE/MAX Alliance Group provides personal service with a superior level of professionalism and commitment, helping homebuyers and sellers make the most of their options to achieve their real estate goals and fulfill their dreams of coastal living. When you are ready for your next real estate transaction, “Beach, Bay or Back Nine . . . Live the Dream” with The Herron Group. One of America’s best places to live, work and play, Sarasota is world-famous for its award-winning beaches, blue-green Gulf waters and enviable lifestyle. This Southwest Florida community combines big-city amenities with a small-town ease of living to give residents the best of all worlds. The arts capital of the region, Sarasota serves up an intoxicating cocktail of culture. In addition to the Ringling Museum of Art, internationally recognized for its important collection of Baroque paintings, this creative community boasts its own opera, ballet and symphonies, as well as numerous art galleries and playhouses. Its natural endowments invite a wealth of leisure activities, from water sports and deep-sea fishing to golf, tennis and eco-activities. Plenty of opportunities await the sports enthusiast, from professional volleyball and hockey to major-league baseball spring training games. A thriving economy, nationally ranked public schools and medical facilities, and world-class shopping and dining round out the list of amenities. Sarasota offers numerous residential options with homes and condos for every lifestyle and price range. The current economic conditions have created buying opportunities in distressed homes, short sales, or bank-owned foreclosure deals. You can wake up every morning to endless waterfront views of the Gulf of Mexico on Casey Key, walk to theaters and restaurants from your downtown condominium, or enjoy the recreational amenities of an active country club lifestyle. Sarasota has it all.